I love every room of our house - all for different reasons. But my favorite rooms where I can just be me are our kitchen and my craft area - because my hobbies are cooking and being crafty! 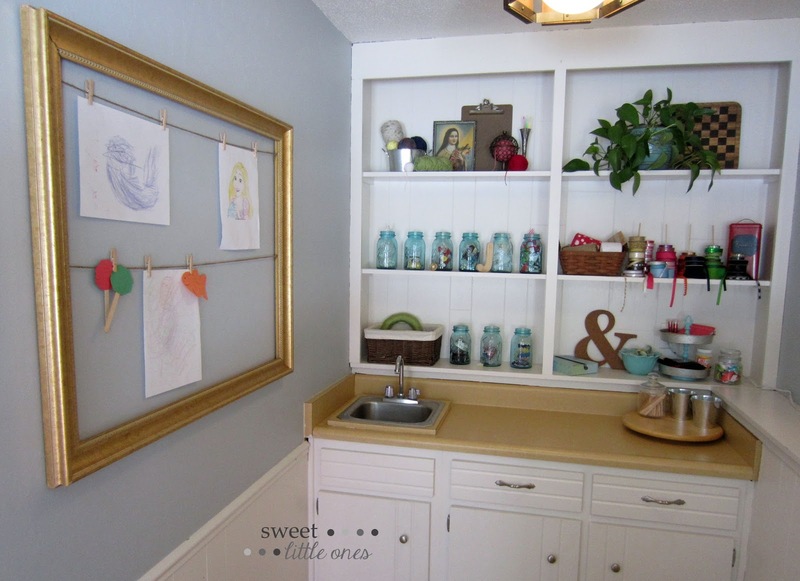 When we first bought our house a few years ago, I designated the wet bar in the family room as a mom cave / craft / play school nook (because look at all that storage and display space!!!!). And it's taken a couple years, but we've finally gotten it organized and decorated (for the most part ;). I just need to hang up some more artwork and frames, change out that really outdated light fixture, and tweak the shelf arrangement. But I really love how it's looking so far! It's so nice to have my own little mom/wife cave! What is your favorite room or special spot just for you at your house? and then link up your awesome post for this week! Please link back to one of the hosts or add this button to your post! 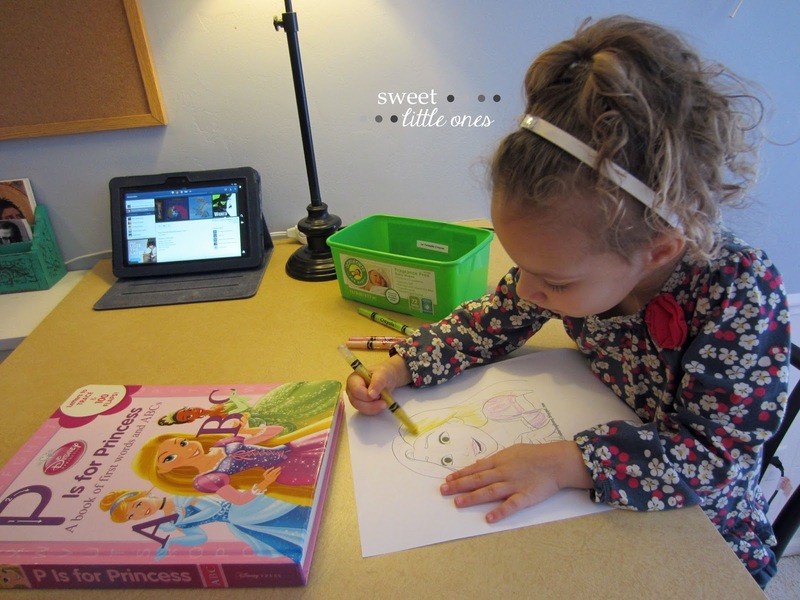 Linking up with Andrea for Show and Tell Tuesdays! 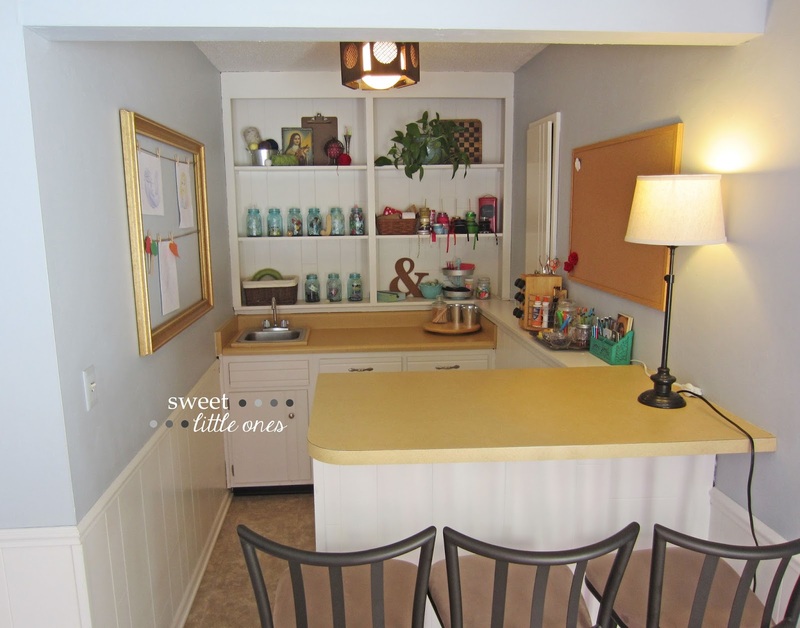 Oh my goodness!I i LOVE your craft room. I am quite envious!! You may have inspired me to try harder with finding an area in my house to use! What a perfect little space! I love it! 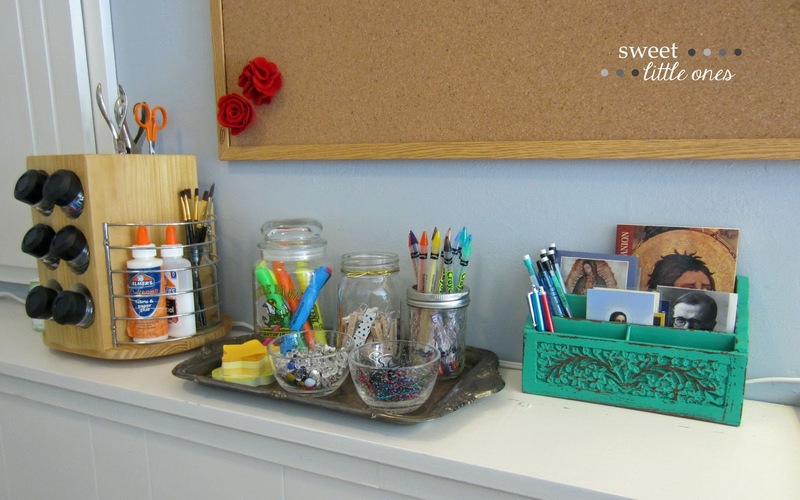 Your craft space looks absolutely perfect! An ideal space to let the creative juices flow! Oh my goodness what an absolutely perfect space, I am completely jealous over here :). My favorite thing about craft space organization is all the little containers to hold all the little supplies! Love how this came together!! 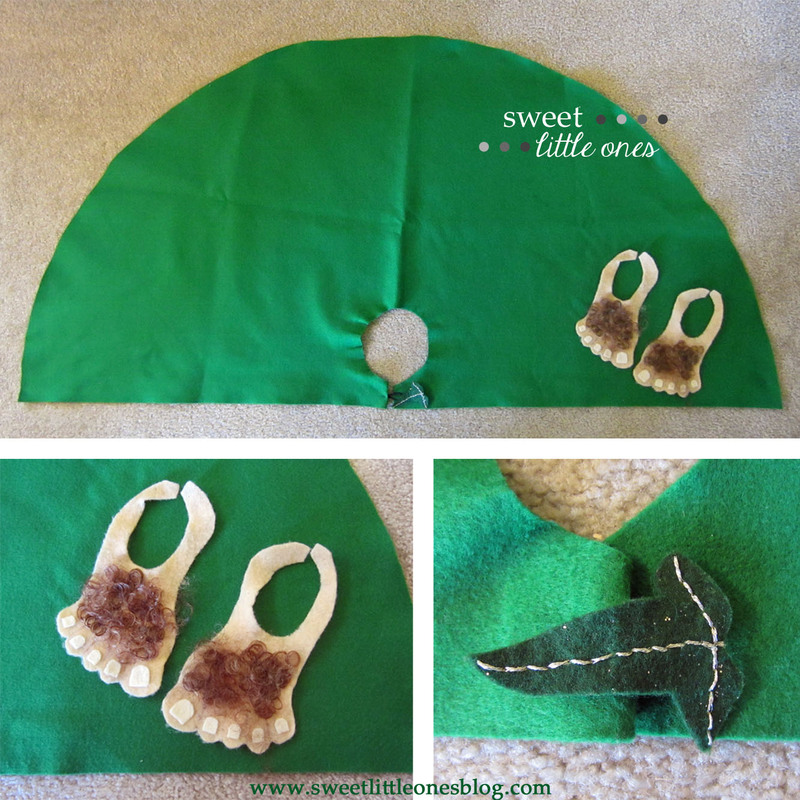 I LOVE the Hobbit Halloween costumes!! Those are amazing! I'm going to copy that idea once Jude gets a little older! 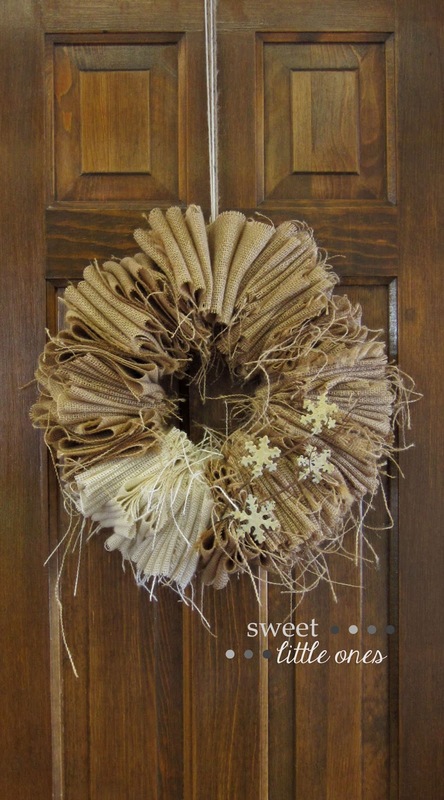 I adore your craft nook! How perfect! Very creative. 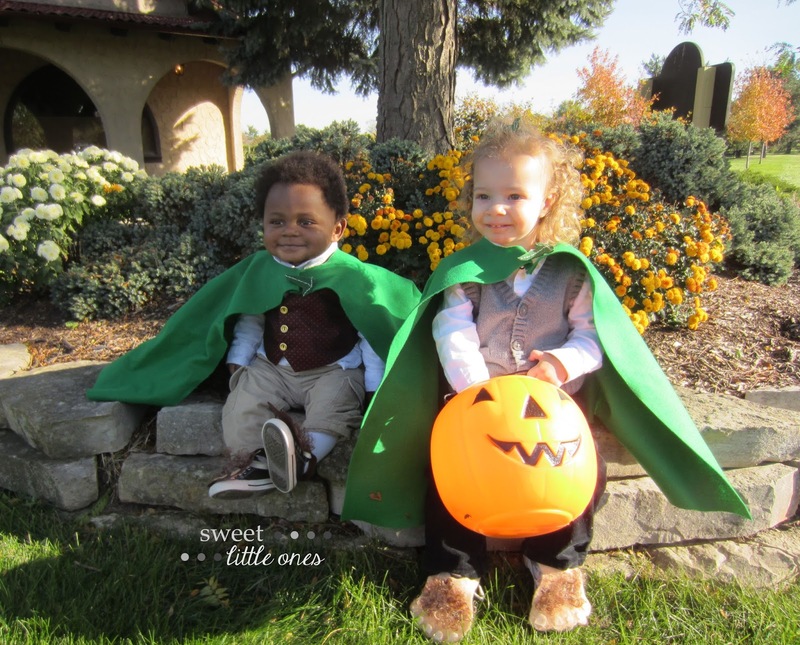 Those costumes, adorable! Every woman needs her space. Mine is the kitchen and my front porch. 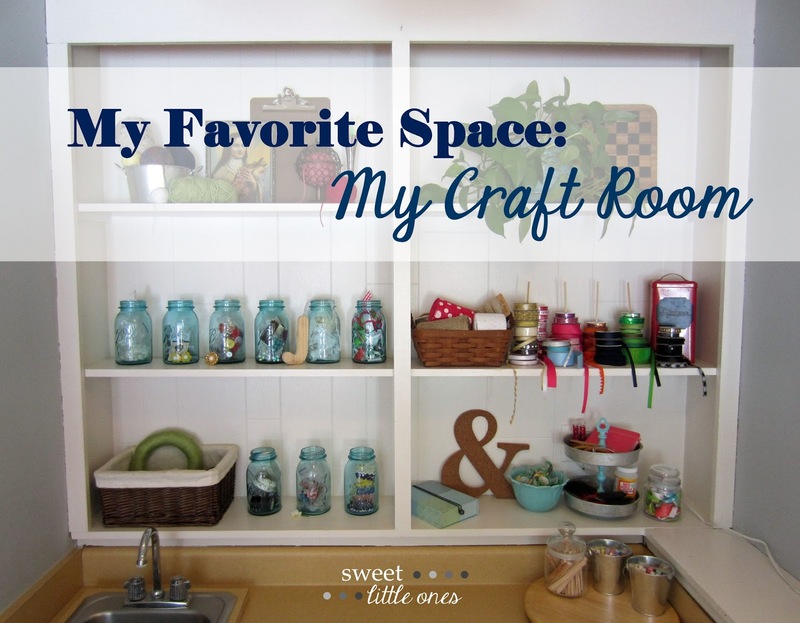 I love your craft room space!! When we put our second floor on, there is a spot up there that is going to be my craft room and I couldn't be more excited about it!! 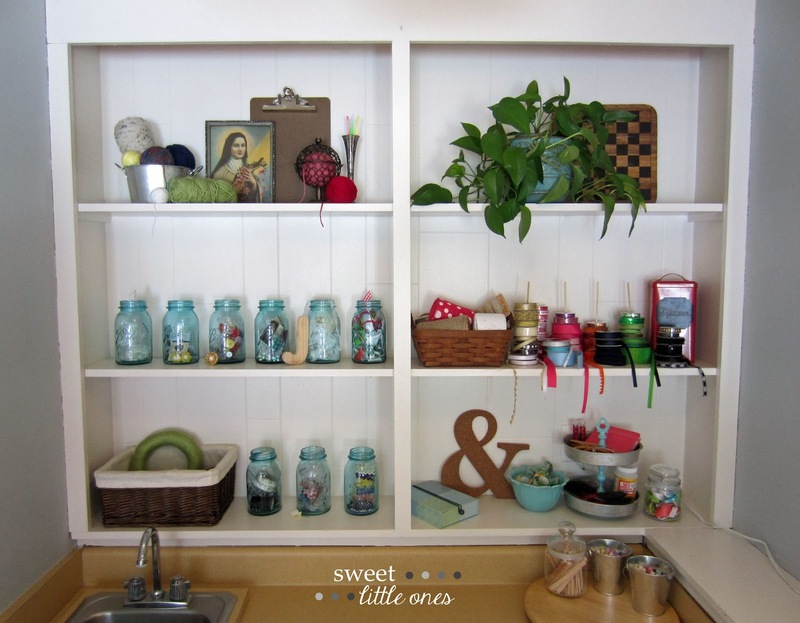 Oh to have a dedicated craft space.......love how you repurposed this space to work for you!